Saluting a glorious and unparalleled career that, since 1959, has embraced some 150 operatic roles and spans the Italian, French, German and Spanish repertoires, this 3-CD collection draws on recitals and complete operas recorded over more than three decades. 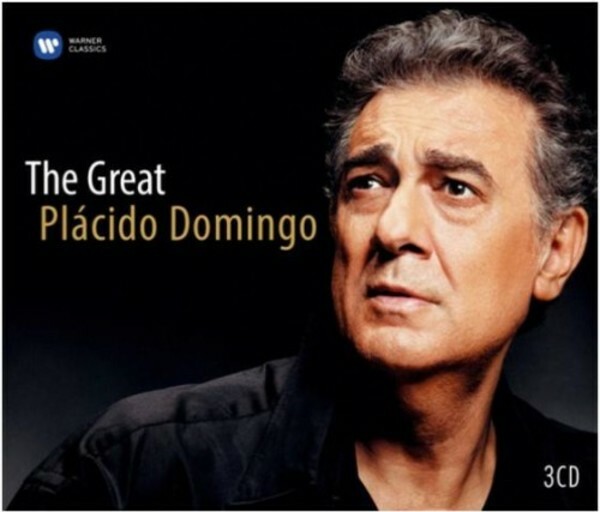 It captures the full range and richness of Pl�cido Domingo�s art, typified by glowing ardour and compelling interpretative insight. 2. Il se fait tard! adieu! 3. Tenez! Elle ouvre sa fen�tre!... il m�aime! 9. C�est toi! C�est moi! 12. Vois ma mis�re, h�las! Vois ma d�tresse! 1. Gott! Welch Dunkel hier! 4. Nothung! Nothung! Neidlisches Schwert! 13. Dein ist mein ganzes Herz!